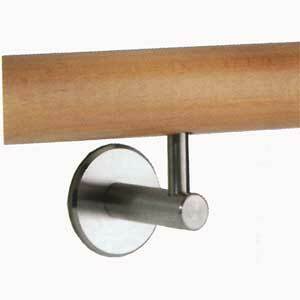 Stainless grade 316 wall rail support for round handrail. 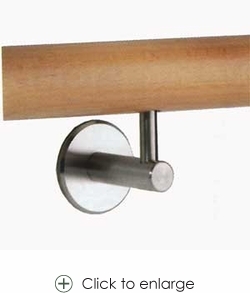 This handrail support can be used for round wood or stainless handrail. Attachment hardware for connecting to the wall is NOT provided. 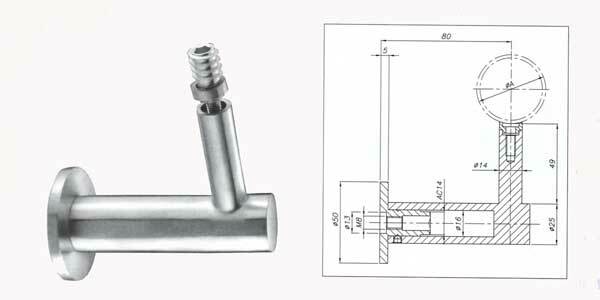 StairWarehouse recommends using one 1/4" x 4-1/2" lag screw for attachment to standard stud walls (not provided) OR use 8mm hanger bolt and hanger bolt driver (see below).